Raydogs 60 template meme went and just like I that I was inspired to make my own. Using them in the order right now. Earnt that pretty quickly from 120k. Thanks for taking the time too! The text boxes were the main hinderance. But I did this all on a phone and I doubted whether it would work. Pleasure to be up there, with you in particular, as always. Since when were you a blaziken? You can blame Netflix (or funimation) Also I went on vacation with my wife and kids and then I had to actually commute to work for a week. 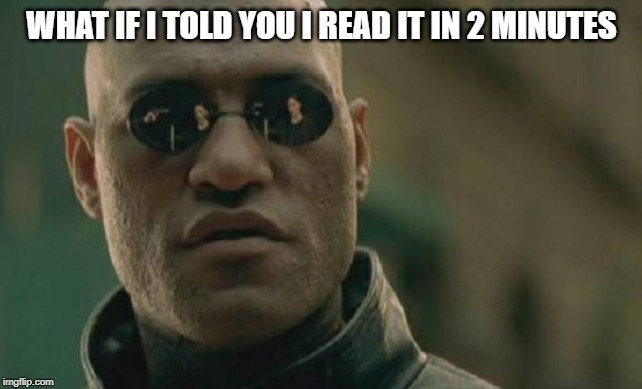 (I am afraid to do IMGflip in the office even with NSFW unchecked. It's nice to be missed. I always wondered if your username was meant to be a lisp? And you’re an electrician lol! Cheers. Good on you! One of my closest friends is a leccy, as some would call them here. I did a multi panel meme (for my million point reveal on my last account) and did it all on my phone! So hard but not near the amount of panels that this one has!! Good job!! I have only ever used my phone and also did for this 😃 had to do 5 or so at a time, then put them all together at the end. How many points would you have in total then including old accounts?! Love It!!! Great!!! And Bravo!!! 😆 thanks for reading Dr! 😆 thanks for finishing it! Pete & Repeat were on a boat. Pete fell off, who was left? Lol! My brains hurting trying to figure it out?? 😆 I don’t blame you! But really, good job my dude. You've done really well with it! The difficult thing was getting dozens of text boxes into place on each “block” I made lol. Oh forget it, you deserve the upvote. Well, I hope that you reach your attainable goals very soon! thanks hey I leveled again. I don’t know about being the ultimate meme. This is great. Just amazing. Also now I want to try and also make one like this or maybe with 70 I don't know. I know now I at least want to try and make a 60 template one. Once again great meme. I used the 60 most popular templates you get to choose from in order, if I had to add another 10 in there that would be something else! It would take a lot of commitment. Who here would honestly make an 80 template meme? I approve of this meme! It’s on the Oprah meme. I tried to put a nice message in the last meme. At least you got top spot with all that work :) Well done. You get a loicence to gloat, mate! Your callous regard for truth and fairness should be an international incident. J'Accuse...! J'Accuse, damn you...! This comment exchange was epic, and the exact reason I like the comment section! 😆 it took a few hours. ALTERNATE DIMENSION Imgflip meme making ALIEN WARE! Lol! There’s too many commments! These comments are so long like this meme. Well, that was some time that I will never get back, but it was at least entertaining in a sense, and I love to bring others up for their hard work. Cheers to you, and many a point you will receive! Thanks for taking the time to go there! i read the whole thing. how long did it take to make this? I read all the memes, good job! I enjoyed the writing. It was entertaining throughout. 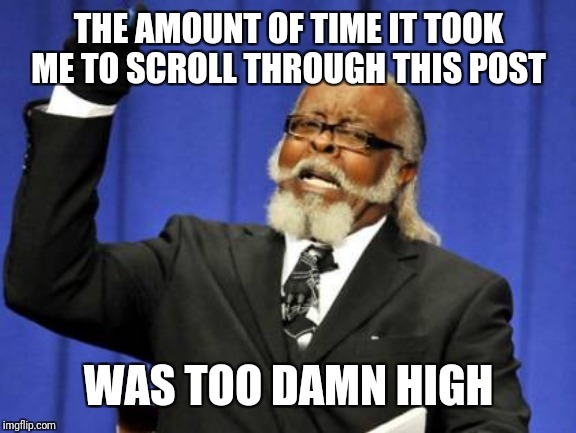 I almost didn't post a disapproving comment because of how much I'd have to scroll through. I read the other one but this one was the exact same thing. I read the full thing and upvoted not for effort but for length and quality. Of course! I read all the me me’s on the front page no matter howl long they are! The comments are almost as long as your meme😂😂😂! way too long, but I loved it. By the way, not sure if it was by accident but if you hit reply on my comment instead of it keeps them in the same place, rather than a brand new comment lower down on the meme. Uhhh, yeah, surely just courtesy, yuh. Ffs stupid gif. Now i can't find the clip. Ahhh, found it again . Oh wait, no it wasn't it NOT If you compare it to this HORRIFYING photoshop!!! it wasn't done to win an Adobe contest it is to make people Laugh! wELL THE PHOTOSHOP is Terrible, but I was Aiming for some HILARIOUS LAUGHTER Not an Adobe art contest!!! That’s a horrendous thing to happen! 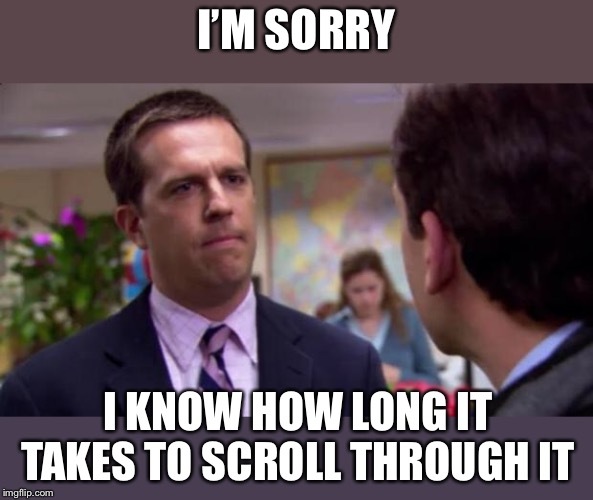 Damn, that meme was longer than my binge watching sessions! I don't know what to say. Upvoted though! 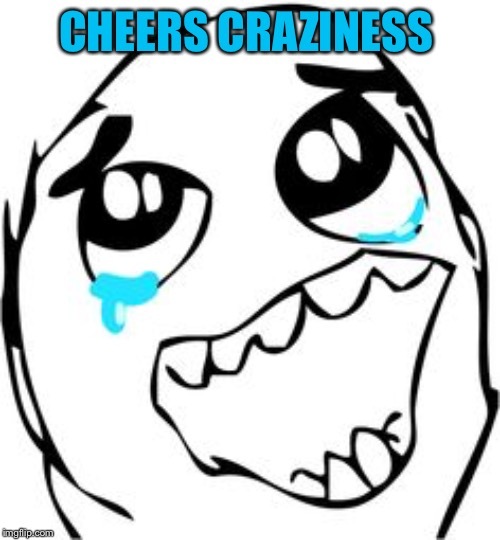 😆 cheers for upvoting and managing it all! please post a link on one of my memes when you do! 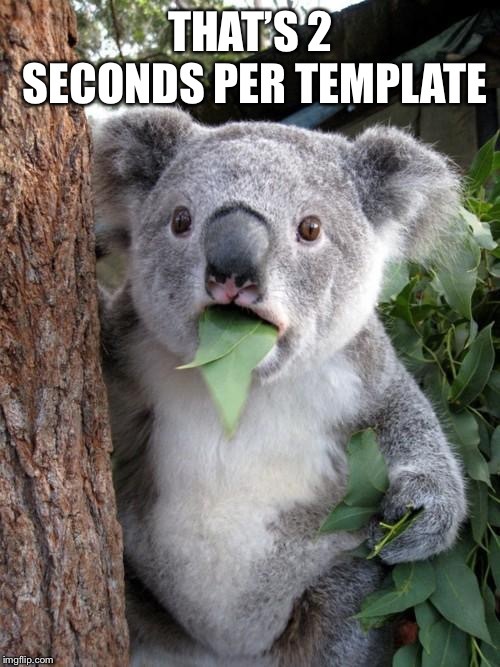 seriously,who the f**k uses 60 TEMPLATES? Thanks! I Was Always Trying To Find Out Who Does That! Yeah, right, you're a drug dealing w**re. Guess they stick to fun.